Outdoor decks are wonderful. 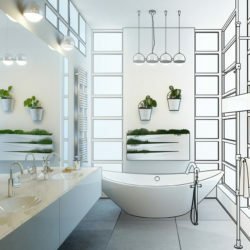 Done right, they are true quality-of-life enhancers that can absolutely help to expand your living space and enjoyment of your outdoor space. But done poorly, if deck design fails to maximize furniture layout, desired use gets crushed. 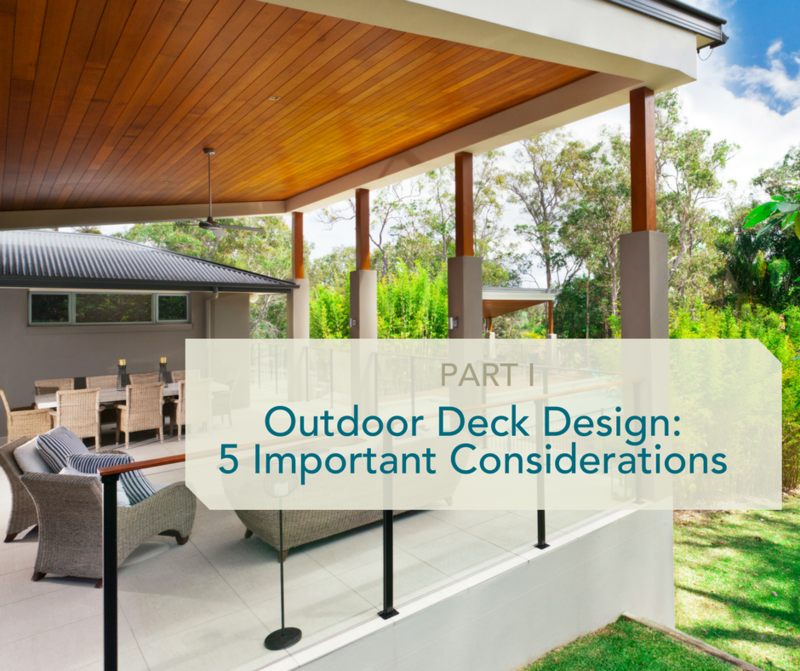 In addition, the wrong deck choice can create real estate resale challenges, not to mention annual maintenance headaches and costs you didn’t anticipate. This may sound counter intuitive, but wood is lower cost than plastic decking material when you are in cedars or the pressure treated varieties. Now Epay wood, a very, very hard wood is quite a bit more costly than the deck woods commonly used. Epay is wonderful in that it’s considered to be the hardest of the wood options and is most resistant to wood rot, decay and termites and even splintering. This said, it DOES need to be treated and due to its density, some contractors hate building with it. It chews through saw blades. And some people dislike the way it grays down as it weathers. In contrast, plastic decking will be the higher cost bid to be sure. Timbertech offers a good plastic decking product with a bit more budget relief as compared to other brands. While you are comparing your bids between wood and plastic, be sure to also calculate your annual costs for maintenance – which in the plastic deck world, are pretty much zero. Have hose and broom, will travel. Next month, I’ll reveal 3 more massively important considerations before you fork over your hard earned dollars on that new deck!